a free, high-quality internet connection! 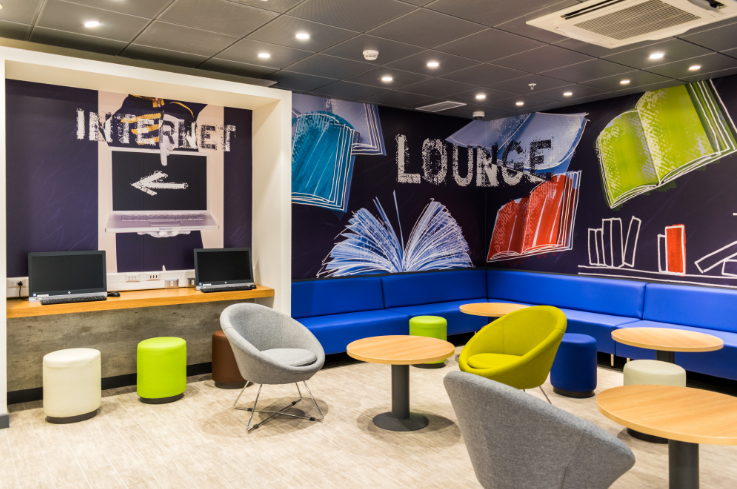 AccorHotels.com fully understands the significance of offering a free high-speed connection: at ibis, the new generation high performance Wi-Fi is proving hugely popular with guests (up 8 satisfaction points)*. In France, 212 hotels now provide fiber-optic Wi-Fi, resulting in an increase of around 11 satisfaction points*, and more than 500 hotels offer their guests a faster connectivity thanks to a one-click Wi-Fi access. Source: online study conducted by AccorHotels.com with the support of the research institute © GfK 2017 with 5,939 men and women aged between 18 and 65 who have spent at least one night in a paying establishment (hotel, guesthouse, Bed & Breakfast, etc.) over the past 12 months. Study conducted between April 27 and May 11, 2017 in France, the UK, Germany, USA, UAE, Argentina, Brazil, China, India and Australia). In late August, an unusual flower took root in the gardens of the Novotel Lausanne Bussigny. Metallic colored and covered in photovoltaic petals, it follows the sun’s path throughout the entire day in order to absorb maximum energy, and can produce up to 40% more energy than an equivalent rooftop system. 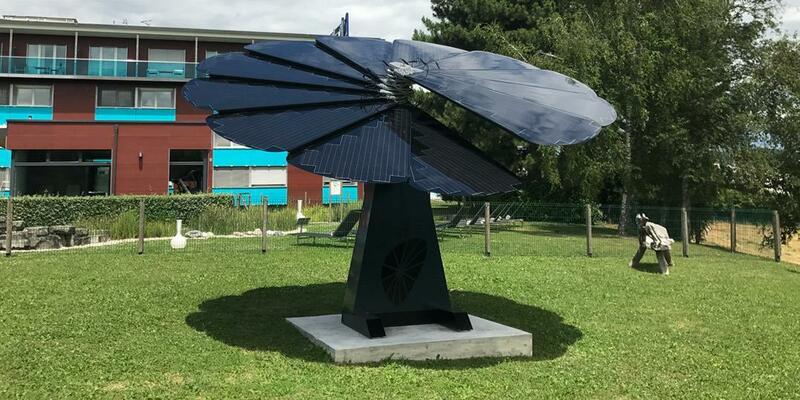 “Exactly like a sunflower, this flower opens its corolla at dawn and follows the path of the sun until dusk in order to capture as much energy as possible, using its GPS,” explains Alexandre Barbier, AccorInvest Suisse Maintenance Engineer. Combining technology and esthetics, with an innovative self-consumption system, its 12 petals provide a solar surface of 18m2 which ensures optimum performance. Highly committed to Planet21, the Group’s sustainable development program, the Novotel Lausanne Bussigny also plans, over the medium term, to introduce solar panels on its rooftops and to receive its heating from the recycling and incineration plant located close to the hotel, in order to more towards autonomic energy production. Maldives, a new luxury oasis of calm coming in late 2018. AccorHotels is pleased to announce its first luxury destination in the Maldives as of September 1, 2017 — Dhevanafushi Luxury Resort, Managed by AccorHotels. Set on the private island of Meradhoo surrounded by natural splendour, the resort will join the iconic collection of Raffles Hotels & Resorts in 2018. The resort counts 37 spacious villas each with a private pool, three restaurants, a scenic cocktail bar and an array of facilities and activities to relax, rejuvenate and reinvigorate the body, mind and spirit. These include an award winning luxury spa, over-the-water fitness centre, yoga programmes, water sports, private dining options, 24-hour butler and private chef service, along with snorkelling and diving at its finest - the resort’s PADI-certified dive centre offers adventures through the wonders of some of most breath-taking coral reefs in the world. Catering to discerning individual travellers, honeymooners and families, the resort is a secret hideaway in the Indian Ocean and a haven of peace and tranquility. 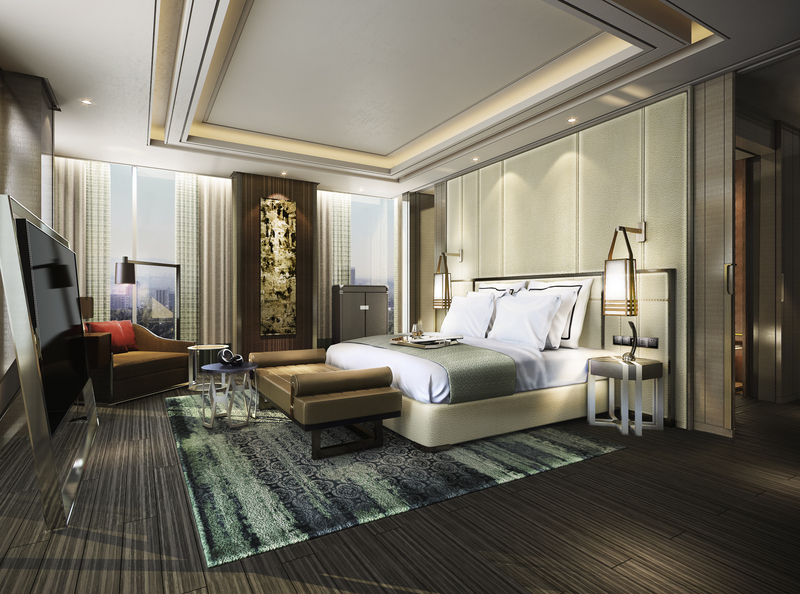 Sofitel Kuala Lumpur Damansara was one of Kuala Lumpur’s most anticipated hotels of the year. The five-star property is ideally located within the prestigious Damansara area and is part of an 8.5-acre integrated development by GuocoLand, comprising two luxury condominium blocks, two corporate office towers, the hotel and a lifestyle mall. Designed by Wilson Associates, the hotel’s interior blends local heritage with a sophisticated feature wall depicting the country’s Wau Bulan otherwise known as the moon kite with French art vivre through an Eiffel Tower artwork. Stunning art-pieces and sculptures were specially created for the hotel paying homage to the rich Malaysian and French heritage and culture. Sofitel Kuala Lumpur Damansara counts 312 luxurious rooms and suites, five restaurants and bars, six meeting rooms for conventions, weddings, and corporate events, an outdoor pool and signature So Spa and SO Fit facilities. The Spa is also the country’s first to offer a Moroccan Hamman bath treatment. 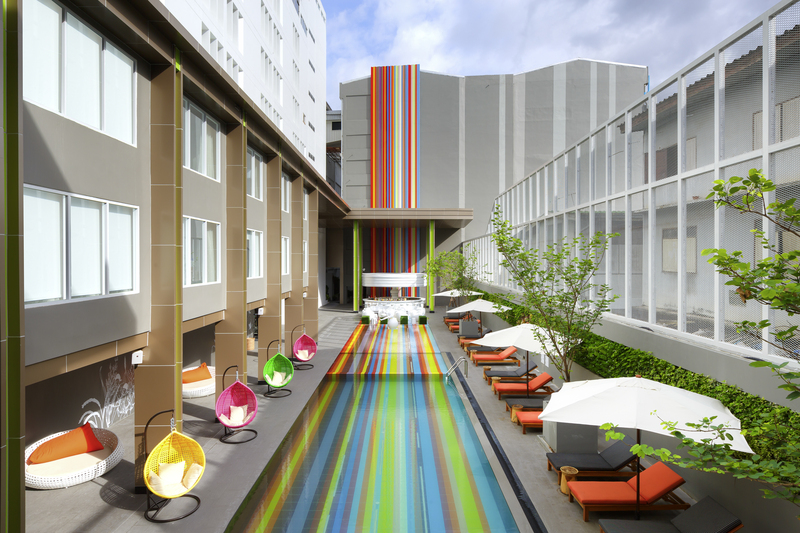 With Sofitel Kuala Lumpur Damansara, AccorHotels continues to expand worldwide. 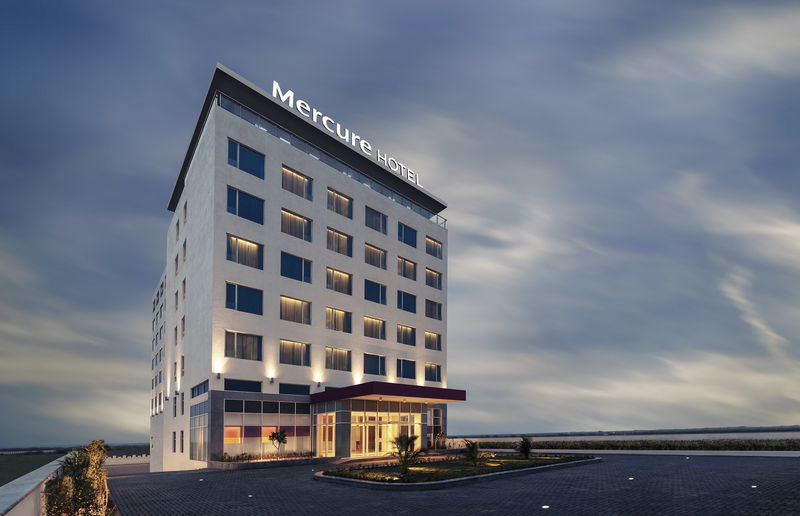 The 9th of August, Mercure made its debut in the holy city of Dwarka, one of the seven most ancient religious cities in India, with the opening of Mercure Dwarka. The opening of Mercure Dwarka marks the group’s fourth property in the land of legends, Gujarat. The hotel offers contemporary homely comfort in it’s 98 well-appointed guest rooms, including one suite. Each guest room features spacious interiors and modern design. Bringing local culture to life, the rooms are designed with Lord Krishna frames connecting guests with the divinity of the city. Strategically located in the Devbhumi Dwarka district of Gujarat, Mercure Dwarka is a short drive from the Dwarkadhish temple, popularly known as Jagat Mandir. The hotel is conveniently located at a five minute drive from the railway station, an hour’s drive from Porbandar Airport and a little over two hours from the Jamnagar Airport. The hotel is also in close proximity to Nageshwar Temple, Gopi Talav Theertham, Rukmani Devi Temple and Hanuman Mandir. The food and beverage outlets include Makhan, an all-day dining restaurant that offers a wide selection of quintessential local delicacies and an array of local and international cuisines. For small meetings and events, the hotel features a modern meeting room that can accommodate up to 40 guests. The opening of Mercure Dwarka marks another milestone for AccorHotels’ expansion and growing brand presence as the 49th hotel in the region. The original Viengtai Hotel opened its doors in 1953 and was the first hotel in the Banglampu-Khaosan area, thus laying the foundations of a hospitality-focused district, a feature that prevails to this day. This long stretch of road is packed with countless budget guesthouses and mid-range hotels, with Styles Bangkok Khaosan Viengtai being the first international hotel in the area. The aim of the hotel was to offer tourists visiting the capital a home away from home, as there was a scarcity of modern accommodations catering for travelers. The hotel has been completely refurbished and has been rebranded under ibis Styles, combining vintage design with creative elements in the ibis Styles spirit. With a unique blend of old-world charm combined with Bangkok’s rich historical heritage, the hotel boasts 215 contemporary guest rooms featuring the innovative and revolutionary Sweet BedTM concept by ibis, which aligns the density points of the body with plump pillows, plus a luxurious duvet to ensure a restful night’s sleep. This flagship ibis Styles hotel offers travelers all-inclusive bed and breakfast in space and comfort. Food lovers can enjoy a selection of local and international menu choices at Streats Café or freshly made French pastries at Streats Bakery. A selection of meat skewers and dishes are available at Streats Bar, an open concept grill-bar that also serves a range of signature cocktails and house pours. Outdoor facilities include a pool, kids club, and bike rentals. For social events and business meetings, the hotel has two meeting rooms that can cater for up to 200 guests. AccorHotels has opened two new hotels in Copiapó, Chile. The ibis Copiapó and ibis budget Copiapó are the first hotels of the network in the city, marking the arrival of the brand ibis budget in Chile. These new locations, which represent an investment of $28 million have provided 60 direct jobs within AccorHotels. Enjoying a prime location in the commercial center of the city and just 5 minutes from the main square, the modern hotels have 254 air-conditioned rooms, and offer guests internet access and private parking. The ibis budget brand is an industry standard in the super-economy segment. Smart and casual, it offers practical accommodation at an affordable price. The rooms are comfortable and modern and can each accommodate up to 3 guests. This concept is designed for people who like to travel and really get to know a city, as well as for business travelers just needing a base and who will not be spending much time in the room. The hotels offer free wifi, a 24hour convenience store, full breakfast buffet and parking. ibis is already the leading brand in the South American and European markets and a global standard in the budget hospitality segment. The brand offers high quality service at an affordable price, and is alone in the budget segment in providing hotel services, such as reception, bar, web corner and internet access with free wi-fi, 24 hours a day. ibis rooms are slightly larger than ibis budget and include a telephone and a safe. There are 7 ibis hotels in Chile, with plans for another 3 by the end of 2017. The ibis budget brand has only one hotel in Copiapó, with plans for two more by the end of 2017.